Focus on Kalevi Aho who belongs to the most significant and productive Nordic composers with his 31 solo concertos and 17 symphonies. Read the web-version of Nordic Highlights! Click directly on the sound- and video symbols in the magazine and you will hear the sound sample or see the video clip referred to in the text. 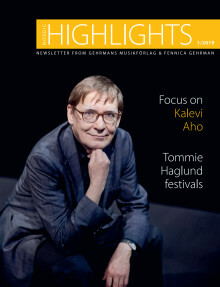 "Nordic Highlights” is our promotional magazine including news and articles about our composers and their works. 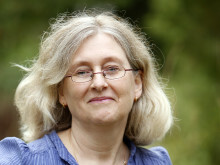 The magazine is in English only, and is jointly published by Gehrmans Musikförlag and Fennica Gehrman in Finland.